It seems that the Japanese over at Suzuki haven’t been paying attention to the way they make their cars. This means that the great cars wearing a Suzuki badge will be hitting dealer services and they will be hitting them hard as the number of vehicles affected is immense. 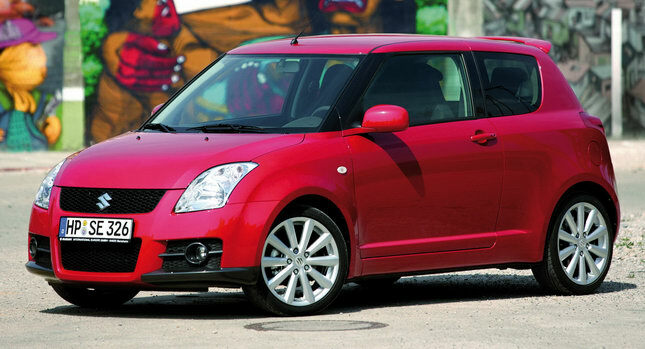 For starters, Suzuki will be recalling 90,617 units of their Swift supermini and a few other models as far as the Japanese market is concerned. However there’s even worse news come when you live in the rest of the world and are the owner of a Swift that’s been made between May 2007 and September 2009. If you fall under the second category as do another 192.000 Suzuki owners you’ll have to soon be ready to hand your car over to a service. If you’re curious what’s the issue of this recall you’ll be pleased to find it’s a minor issue as the cars exterior mirrors could be subjected to strong vibrations over time and that could potentially lead to some screws getting loosened up. That problem could lead to the mirrors of your Suzuki dropping off. Apparently this recall was sparked by Suzuki receiving 77 complaints about the issue and it seems no accidents took place. Not shocking since nobody crashed for not having wing mirrors.